Life is a school and an education. Attending the school of life is filled with all sorts of learning opportunities and experiences under the illusion of the material existence. Hardships, difficulties, challenges, struggles, crisis, trauma, tragedy, pain, restriction and limitation are all designed to awaken the spirit side of our being and to connect us with our soul’s purpose and destiny. We choose the way of our awakening. The events, incidents, crisis, even tragedy or trauma happening in our lives at certain point serve as the trigger to prompt us to question our life and its existence, and to find the reasons and answers why these things happened in our lives and what it was about? As we start to ask questions, we inevitably begin to search for the answers, and we will be guided to connect to the spiritual side of our being and awaken to the purpose of our life. I call this process the “Awakening process or awakening point”. By then we begin to live our lives aligning with our soul’s purpose consciously. There is always a blissful or happy period after our awakening because we finally had the click to the true meaning and purpose of our lives. As if once we are blind, now we can see. However, the spiritual path on the Earth Plane is never an easy path because of the Self part of us, and most people even do not know its existence. The key for each soul to reach its full potential, to fulfill its destiny and to reach the universal consciousness is to conquer the Self and allow the Higher Self taking control of our earthly life. It sounds simple, but it is the most challenging and difficult task one can ever be able to imagine. 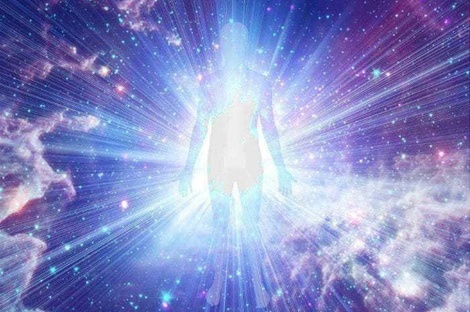 Each human soul on the Earth Plane has the Lower Self and Higher Self. The Lower Self part of us resides in our subconscious, attaches to Earth Plane and our four bodies – physical, emotional, mental and spiritual. “On a deep subconscious level the Self part of you resides, it is deep fear and whether because of the fact it does not feel good enough, or is frightened of ridicule or other emotional memories, it will never allow you to open fully into the person you should be.” –Maitreya from Maitreya Quotes App. Why is that? The only purpose why Self lives in fear, insecurity, doubt, distrust, anger, jealousy, guilt, shame and all the negative emotions, thoughts and negativities is for survival on the earth plane and in the material world. In order to survive, the Self feeds ego, pride and superiority; it lies, cheats, denies, competes and fights for control and dominance; it stays in the past and does not want to change and move out of comfort zone. It creates the illusion of problems, issues and negativities around us and that is all we can see; It has all reasons to cloud our mind and blind us from seeing the truth; It finds all sorts of excuses to convince us that we are incapable of making change because of all the difficulties, challenges and obstacles. The Self is very cunning and crafty, it uses all our subconscious soul memory to drag out our fear, insecurity, doubts, and all sorts of emotions, past life energies to stop us from moving forward to higher vibration and consciousness. The Self will make us deny our own mistakes and faults, instead of being honest to look at ourselves and being honest and truthful to others. The Self will always have the victim mentality and play the victim to blame others for problems and issues instead of taking full responsibility for its own. The Self accuses others for our misfortune, unlucky, our struggles, difficulties and hardship, instead of seeing they are the opportunities we have chosen to experience and to learn from for our karma, past life energy and life lessons; The Self will get involved in other people’s lives instead of focusing on its own; The Self will blame people, society and government for all the problems instead of seeing them as the teachers and mirrors who are showing us what we need to look from within so that we can make change. The Self will lie to believe something true and innocent when it is not; The Self will make one believe incapable, impossible and too much to handle when in fact one can conquer and overcome. Whenever the Self is scared and fighting for its control, our inner world will go through turmoil and have peace at all, and we will then feel stuck and trapped. The list of what the Self is doing in our lives is endless and mind boggling. When we start to be aware of the Self part of us, and to look at our Self closely with total honesty and truthfulness, we will be able to see our Self and how it has dictated and manipulated each of us for survival, staying alive and maintaining control, and how it has been sabotaging us from facing challenges and obstacles, and overcoming the difficulties and hardships. Because of the Self part of us, we are actually our own worst enemy! The only reason and purpose why the Self do all these to us is to survive its existence on the Earth Plane because the Self part of us only stays on the Earth Plane and in the material world attached to our physical body. The Self part of us cannot go home in the world of Spirit with our soul. When the soul leaves the physical body, the Self is also left behind with the physical body. On the contrary, the Higher Self part of us is the divine spark of God, it is our spirit. It is positive and optimistic; it has no fear, insecurity, anger, hatred and all other negative thoughts, emotions and negativities; it lives in the Now; it has empathy and not attached to any emotions; it goes easily with the flow of energy, not questioning or reasoning, and knows that everything happens for a reason and that everything will work out for the highest good in its own time and its own way; It has faith, trust, patience, courage and perseverance; it has an open heart with understanding, acceptance, respect and appreciation for everyone and everything. The Higher Self has all the answers. The Higher Self knows our path – our destiny – and can lead each of us through the minefield of life in a far easier way than the Self can.